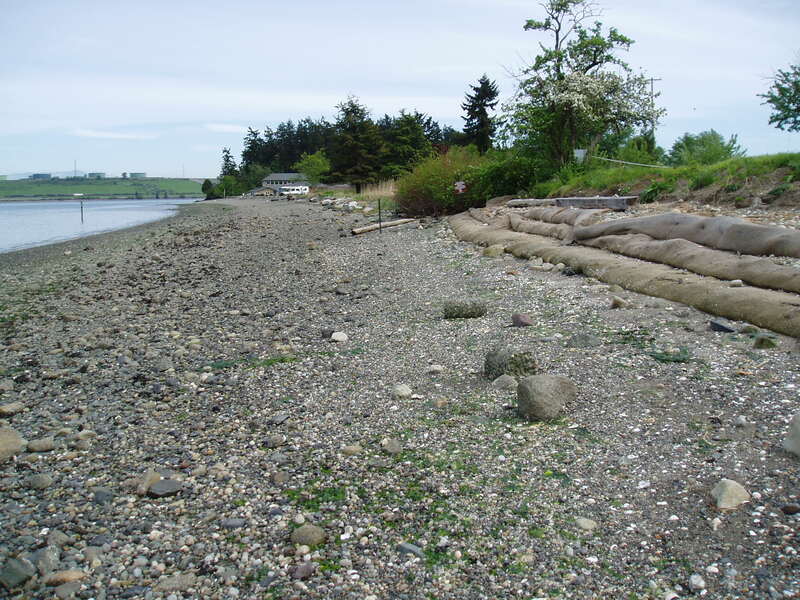 News – Page 2 – Experts in Puget Sound coastal processes, management, and cost-effective design since 1993. 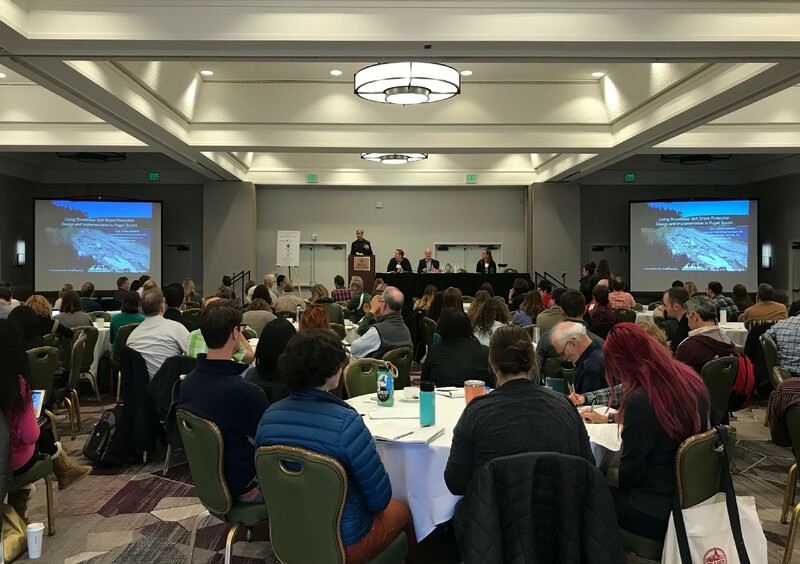 Jim Johannessen, Owner and Principal Geologist at CGS, recently presented to over 250 attendees at the Restore America’s Estuaries National Living Shorelines Technology Transfer Workshop in Oakland, CA. The presentation, titled “Living Shorelines/Soft Shore Protection Design and Implementation in Puget Sound”, detailed the ins and outs of soft shore protection: what it means, how it interacts with the coastal environment, its ecological benefits and design methods, and how it has been successfully applied by CGS on dynamic coasts throughout Puget Sound region. Jim presenting at the RAE Living Shorelines conference, February 22, 2018. CGS completed beach concepts, designs, and construction planning for the new Waypoint Park beach in Bellingham, and is currently doing construction oversight as this new beach comes together. 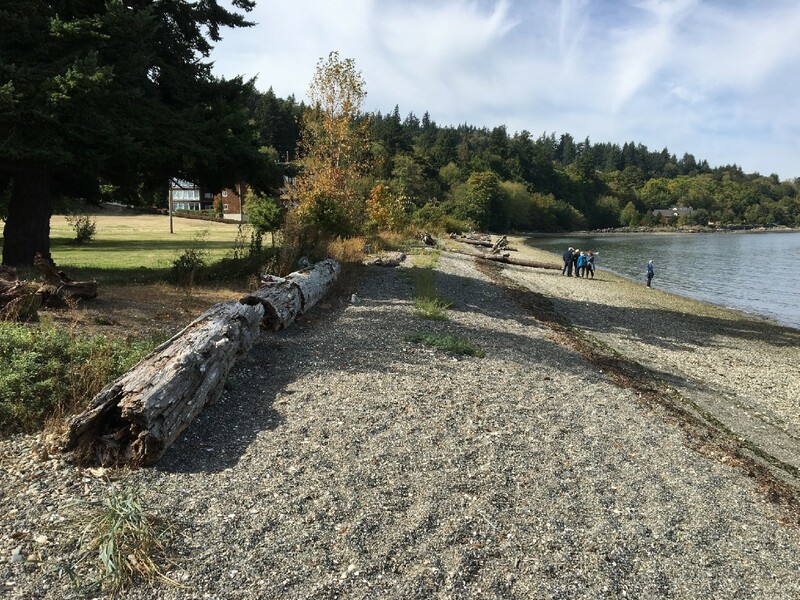 The beach involved the removal of a treated wood bulkhead, and is located on the former Georgia-Pacific pulp mill along downtown Bellingham’s waterfront. Check out the video below from the Bellingham Herald on the recent progress of the project! Visit the Bellingham Herald website to view more videos like this one about the progress of Waypoint Park, which is set to open in summer 2018. 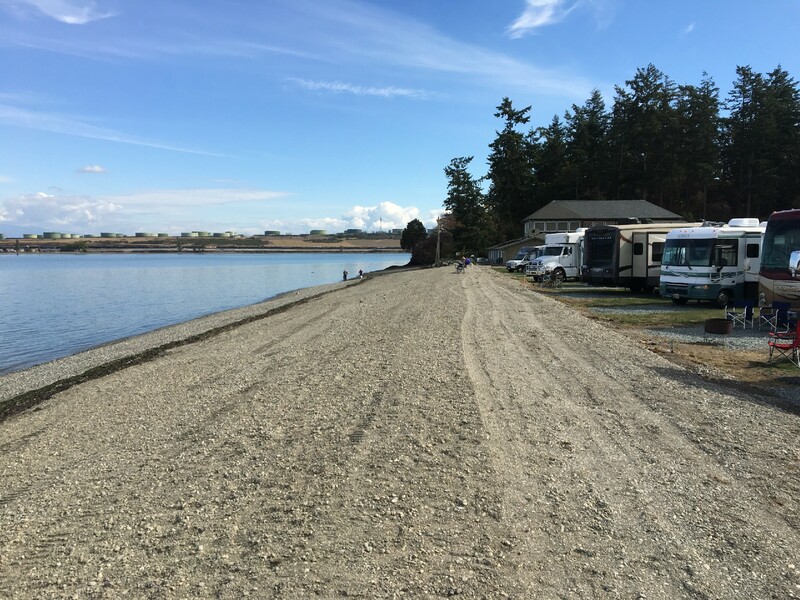 In fall of 2017, Coastal Geologic Services completed Phase 3 of the Weaverling Spit Restoration project for the Samish Indian Nation. 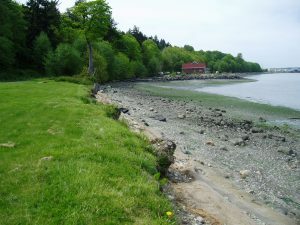 Weaverling Spit is located on the west shore of the Fidalgo Bay Aquatic Reserve, across from Marchs Point in Skagit County. The spit contains documented forage fish spawning beaches for surf smelt, which are an important food source for many marine mammals, birds, and fish — particularly salmon. Over 200 cubic yards of rock and fill debris were removed from the rockery armor at the Samish RV parking area, and soft shore beach nourishment (sediment import) along with large wood installations were placed along the regraded upper beach to improve beach stability and forage fish spawning habitat. This project occurred in three phases: Phase 1 was completed in 2009, Phase 2 was completed in 2012, and Phase 3 concluded in September 2017 after 2 years of work. CGS completed mapping, assessment, design, and monitoring, and assisted with planning and construction oversight for all three phases. This is a sample 3D model created for a recent project using aerial imagery from a drone (UAV or UAS). CGS uses drone imagery and RTK GPS technology to produce high-quality models and topographic surfaces anchored in geographic space. View our Mapping and Monitoring Services page to learn more about how this technique is applied.